Frank Chesser writes eloquently of redemption, shepherding, and preaching, along with sensitive issues such as racial prejudice and capital punishment. He warns of the dangers in our culture and reminds us that each part of every Christian belongs to God all the time. 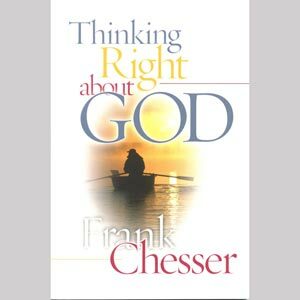 This book is saturated with tidbits of profound truths all Christians recognize but few are able to pronounce so succinctly. From the pen that produced The Spirit of Liberalism, Portrait of God, and Voyage of Faith comes Thinking Right about God, a book that will leave you thinking long after you have read it.